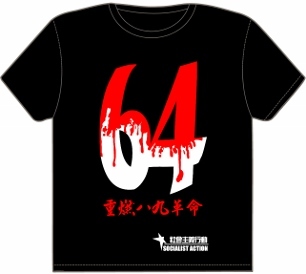 In March, to great fan fare, Premier Li Keqiang promised to launch a “war on pollution.” But after this weekend’s chaotic and bloody scenes in Yuhang, Zhejiang province, it seems the government has launched a “war on pollution protesters” rather than anything else. A massive crowd campaigning to stop a planned waste incinerator clashed with hundreds of riot police on Saturday 10 May. The demonstrators blocking a major highway numbered 5,000, or even 30,000 according to some accounts. Yuhang, which is 20 kilometres from the regional capital of Hangzhou, has seen largely peaceful protests on a daily basis over recent weeks. Plans to construct similar waste incinerators, which are clouded by concerns of increased rates of cancer, have met massive public opposition in other cities in recent years. According to one official source the number of environmental ‘mass incidents’ has risen by an average of 29 percent per year since the mid-1990s. Just one month ago the city of Maoming, in Guangdong province, saw thousands protest against a petrochemical plant, forcing the local government to “review” its plans. 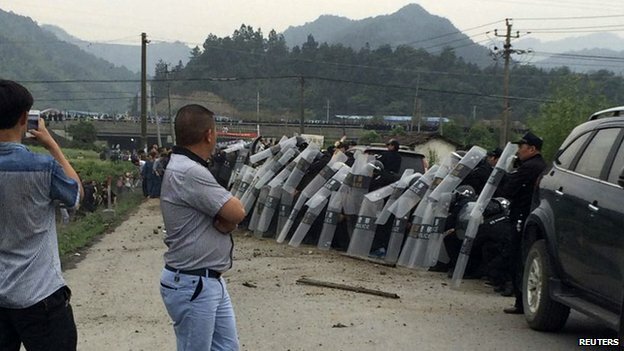 The violence in Yuhang erupted on Saturday evening and followed an all-too familiar pattern. Thousands of demonstrators had gathered to block a highway in response to an appeal circulated after the Zhejiang provincial governor Li Qiang arrived in Yuhang and appeared to overturn the decision of local leaders – under pressure from the protests – to suspend construction of the waste plant. As on so many previous occasions it seems that heavy-handed policing provided the spark for trouble. Police and anti-riot units sealed off the roads into the area and descended in force. Official sources say at least 39 people were injured including 29 police officers. But images widely circulated online, before being deleted by censors, indicate a considerably higher number of injured protesters many with bloody head wounds. 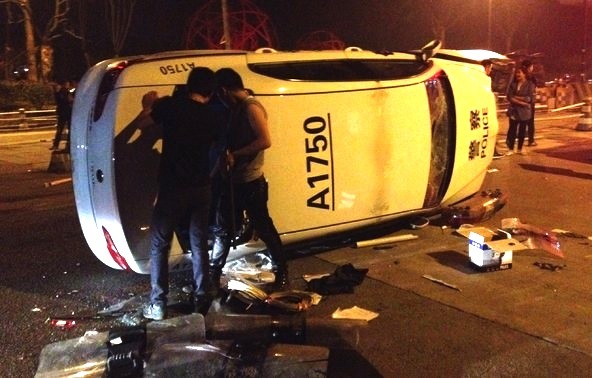 According to state-controlled media reports around 30 vehicles were overturned or destroyed including six police vans. The ferocity of the clashes underlines the enormous explosive discontent that is accumulating in China under an increasingly repressive dictatorship accelerating its programme of pro-business neoliberal policies. Following these clashes, a state of de facto martial law has been imposed on the area. Police have reportedly cut off the village of Zhongtai, the nerve centre of the protest movement, to hunt for a list of suspects whose photographs have been published. A total of 53 arrests have so far been made according to official media. Martial Law in effect in the area of Yuhang. To begin with, residents in Yuhang say the government never informed them of the plans for the incinerator and no environmental assessment was conducted. A group of independent environmentalists conducted their own survey and publicised the results, thus alerting the local population. In April, some 20,000 signatures against the incinerator were collected on a petition, according to The Zhengzhou Evening News. The demonstrations began at the end of April, with hundreds of people gathering daily outside the offices of the Yuhang government. Locals in Zhongtai complain of threats, intimidation and beatings by security forces long before the rioting of 10 May. They say the former Zhongtai village chief who opposed the incinerator project was forced to resign by higher-level officials. As the protests began a campaign of intimidation has been waged against anyone known to be participating. Teachers and students have received text messages from the authorities warning them not to sign petitions against the plant. “If you take part, they will call you up on the phone. If you are a parent with a kid in school, they text you telling you not to take part,” one resident told Radio Free Asia. As in other mass protests including workers’ strikes, online chat room groups have played an instrumental role to coordinate action. But these too have been broken up by internet censors. Despite the massive police crackdown since Saturday, a group of middle school students still had the courage to march on Sunday evening 11 May. The Yuhang protests are part of a wider pattern of anti-pollution protests that appear to have gone from strength to strength in recent years. The Chinese dictatorship has presided over an environmental collapse, with appalling levels of air, water and soil pollution. This includes the ‘Airpocalypse’ phenomena of gigantic smog clouds that have paralysed normal life for days at a time in major cities, especially in northern China. Scientists now warn that air pollution is so extreme it resembles a nuclear winter, slowing down the process of photosynthesis in plants and posing a threat to the country’s food supply. A report last month showed that nearly one-fifth of China’s total farmland is polluted with heavy metals and other industrial waste, confirming fears of widespread food contamination. If built, the Yuhang waste incinerator would be Asia’s biggest, set to treat over a million tons of waste per year. The Chinese regime is planning a “Great Leap Forward in garbage incineration” with around 300 such incinerators to be built around the country in the next few years to deal with mountainous volumes of urban waste. There are widespread concerns that the incinerators if operated without the necessary emission filters release toxic substances such as mercury and dioxin, which causes cancer. China’s notoriously lax enforcement of safety and environmental standards, and government corruption, only heightens public anxiety. Protesters are becoming far less trusting of the ‘communist’ authorities who have on several occasions performed ‘fake retreats’, pledging under pressure to suspend construction only to push ahead later, sometimes in secrecy. This explains why the Yuhang protests grew despite an apparent retreat by the local authorities. Last week they announced the project would not proceed without the “support of the people” – but clearly this is a meaningless qualification in a dictatorial state that clamps down hard when people express dissenting views. At least 53 arrested after violent clashes on 1o May. The Yuhang protest movement is yet another warning of the social explosions that impend in China. Official figures are no longer available, but there are thought to be over 100,000 ‘mass incidents’ – environmental protests, rural revolts and workers’ strikes – every year. In late March, Maoming was shaken by protests against a ‘PX’ petrochemical plant, following similar protests in Ningbo, Kunming and Dalian, to name just a few. Even more frightening for the Chinese regime was the outbreak of the biggest strike in decades, at Dongguan’s giant shoe factories, only weeks ago. This strike (see our report on chinaworker.info) could herald a hot summer of labour unrest as workers anger over factory closures, wage arrears and withheld social insurance payments reaches boiling point. 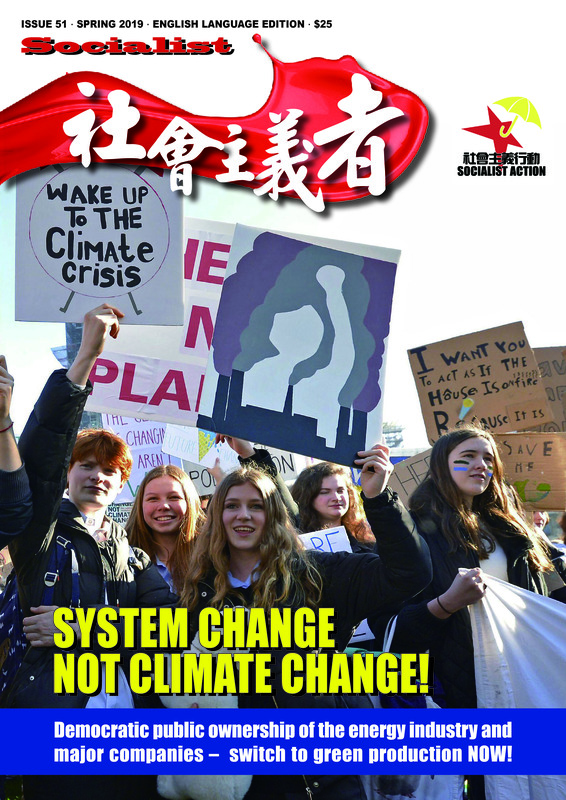 Socialists and the chinaworker.info website stress the need to link the awakening environmental movement with workers’ struggles and the wider battle for democratic rights. Campaigns need to be waged to demand the release of arrested anti-pollution protesters, and an independent investigation into the unrest and repression in Yuhang. This is similar to the demand for the release of the growing number of jailed workers’ representatives and anti-corruption activists. These struggles should be linked to the fight for a democratic socialist alternative to the capitalist ‘market’ with its criminal disregard for the environment.